Karma Teachers: Offering free yoga to the Downtown Eastside Community to promote the act of selfless giving. 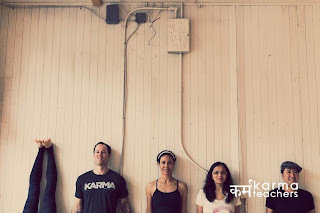 Karma teachers is a group of yoga teachers committed to selfless action and giving back to community. Our teachers are passionate about yoga and sharing its many benefits. By imparting yoga knowledge and skills, we are helping to enhance the lives of others and especially those living in our community. We make yoga accessible to those groups that might not otherwise have an opportunity to participate in yoga classes. In doing so, we are helping to revitalize Vancouver's lower east side community.